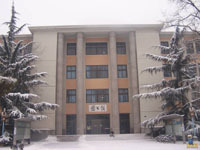 The University of Science and Technology Beijing (USTB), founded in 1952, is a national key university under the direct supervision of the Ministry of Education of China . USTB is famous for its study of metallurgy and material science. While engineering is the focus, there are also programs in basic science, management, humanities, economics and law. USTB is one of the 33 Universities in China that are entitled to establish state-approved graduate schools. In 1997,USTB was listed as one of the first group of universities admitted to China 's 211 Project, to be built up into one of the 100 first rate universities in 21 century. USTB consists of 9 schools, provides 39 undergraduate programs, 65 master programs, 26 doctoral programs and 7 postdoctoral research fields. USTB attaches great importance to the establishment and development of its academic disciplines. As a result of many years of development, seven national key disciplines such as Ferrous Metallurgy, Materials Science, Materials Processing Engineering, Mechanical Design and Theory and Mining Engineering etc. have long enjoyed established fame both at home and abroad, so are Management Science and Engineering, History of Science and Technology which have won a high reputation as well. Disciplines such as Control Theory and Control Engineering, Thermal Engineering, and Mechatronic Engineering are being developed on a solid basis. 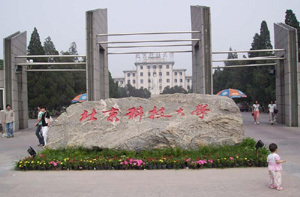 In addition, newly-developed disciplines such as Computer Science, Information Technology, Environmental Engineering, and Civil Engineering, are glowing with vigor and vitality. In October of 2003, the total enrollment of over 14,000 full time students includes 9,661 undergraduates, 3,080 master candidates, 1140 doctoral candidates and 81 international students. USTB prides itself a strong faculty known for their meticulous scholarship and academic excellence. Among its 1063 faculty are 255 professors, 347 associate professors. Including 7 academicians of the Chinese Academy of Science and 3 academicians of the Chinese Academy of Engineering. Scientific researches in USTB focus on the solution of major scientific and technology problems in the modernization of metallurgical and materials production, as well as the development of new technology. Many breakthroughs have been achieved in the areas of technological research and major technical problems have been solved for metallurgical and materials industries. From 1978 to 2002, 776 research projects have been awarded prizes at state, provincial or ministerial level, 106 prizes were at the state level. USTB has been awarded 153 prizes of various kinds since 1998, including 13 National Invention Prize, National Prize for Natural Sciences and National Prize for Advancement in Science & Technology. Among the 84 patents granted, 3 have been transferred to the American Iron & Steel Association, five have been rewarded with profit of over ten million yuan. From 1991 to 1993, USTB ranked sixth, fourth and fifteenth respectively among universities nationwide for winning the National Prizes for Natural Sciences, for Advancement in Science & Technology and the National Invention Prize. Besides, USTB plays an important role in academic disciplines. In 2002, USTB ranked the sixteenth and twenty-third respectively among Chinese universities for the number of theses included in EI and SCI. 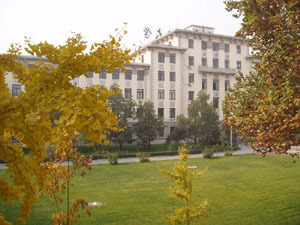 USTB total area 557,858 square meters is located in Haidian District of Beijing faced Fourth Ring Road, where most key institutions of higher learning are gathered. USTB is an institution involving the Chinese Government Scholarship Program and has been accepting the international students since 1954. More than two thousands of students from 74 countries and regions have been studying and doing research work in the university. In fall of 2003,there are 81 international students, including 34 undergraduates, 15 master candidates, 8 doctoral candidates and 24 non-degree students (21 of them are language students).